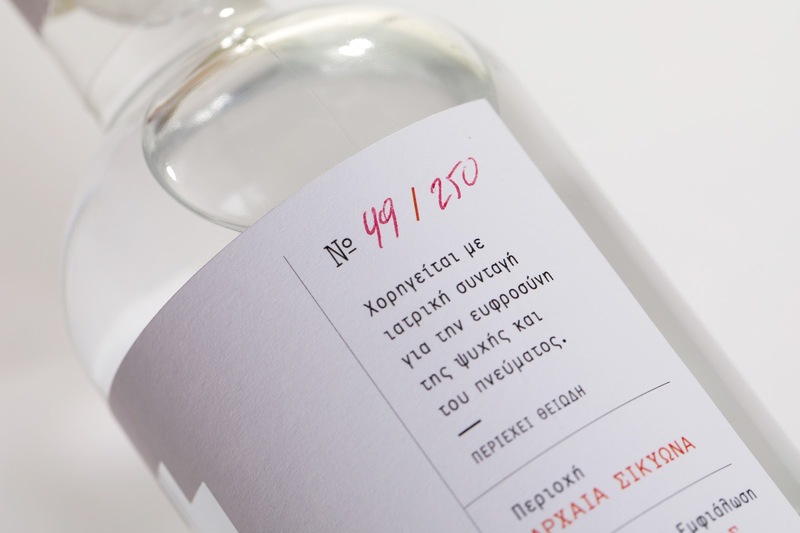 The “Giatriko” is a product of traditional distillation (tsipouro) by Domaine Tsoutsanis. 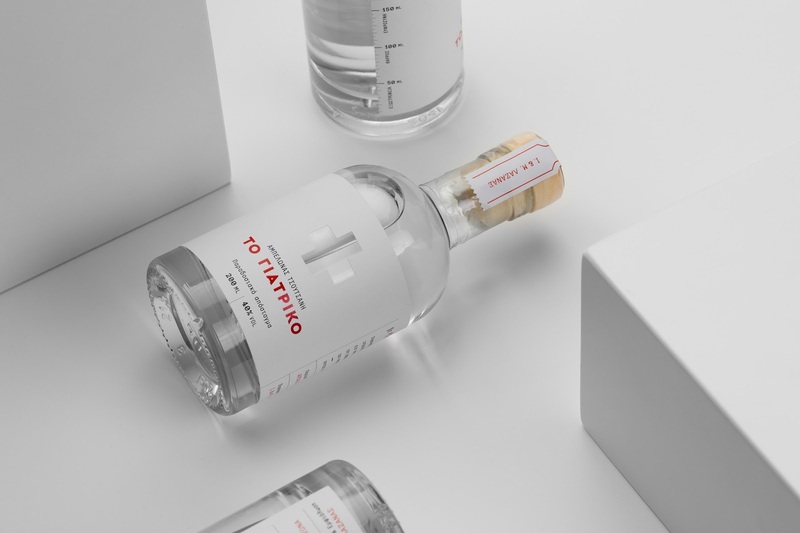 The purpose of the design was to create a different label that encourages the company (consumers) to start a debate, a funny one, based on the visual approach, with the purpose as mentioned on the label, the joy of the soul and the spirit. 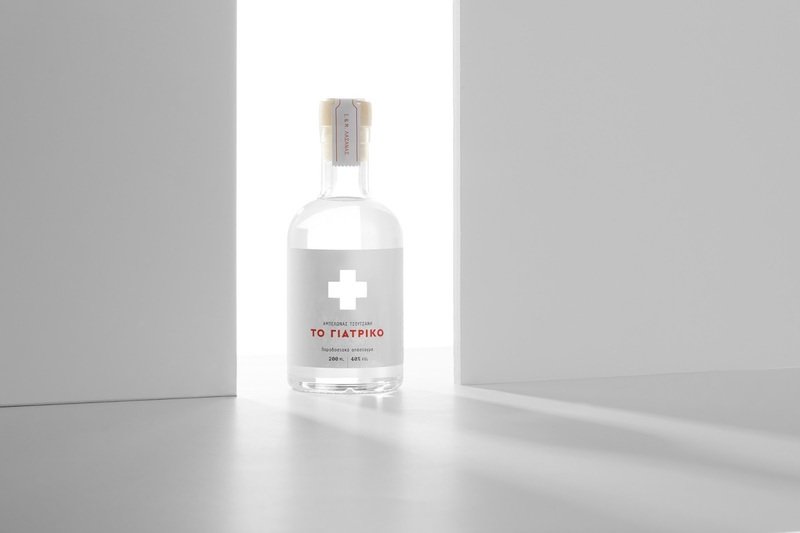 The belief that tsipouro helps fight small viral infections due to its alcoholic volume - was the main trigger for its name, "the medicine”! 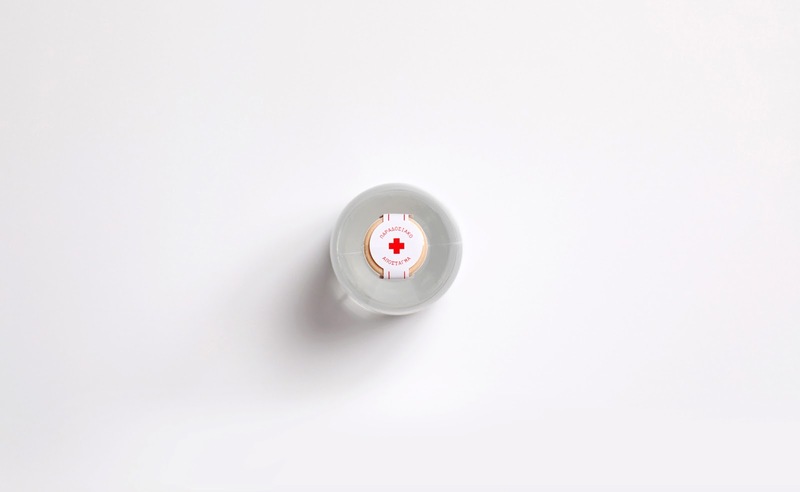 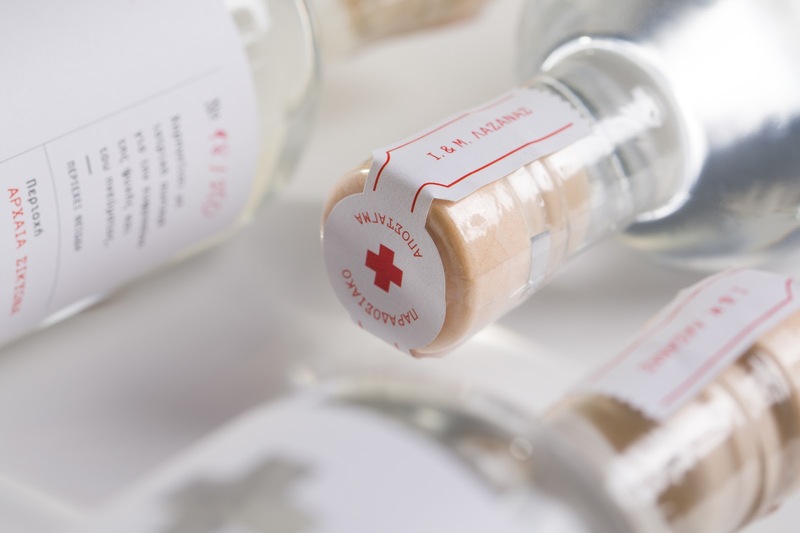 Since the producers also have a parallel activity in the medical field, they decided to name the product "the medicine”, which brought to mind of older and traditional medicine packaging and vials, so we kept a minimal mood as well as the dosage indication. 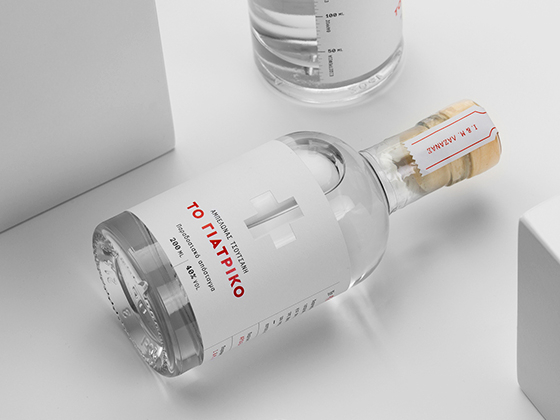 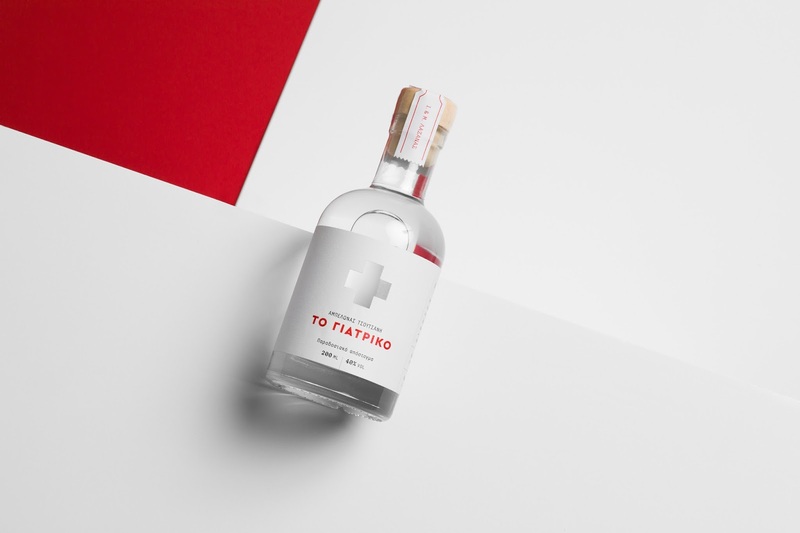 Associating the name to the medical sector, we used the red-black colours and integrated a cross to dominate over the name, creating a packaging that aims to communicate more the basic concept "pleasure of soul and spirit - medical" and much less its traditional distillation.